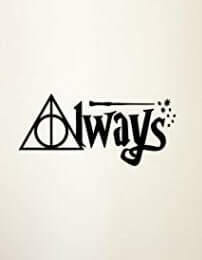 Even after years of reading and watching Harry Potter books and movies, we never get tired of anything from the wizarding world. Do we? 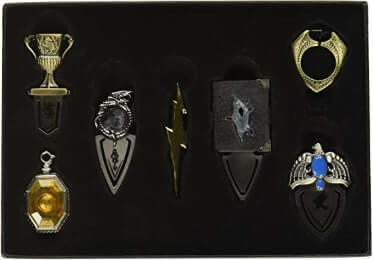 And when it’s that time of the year where you have to buy presents for your loved ones, be it their birthday or Christmas, best Harry Potter gifts would be certainly the gifts they expect from you. Sure you can’t go to Honeydukes or Zonko’s Joke shop to get your best harry potter gifts, but the muggle world sure has unique Harry Potter gifts and ideas to amaze you! 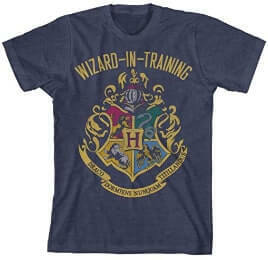 How precious is a “Harry Potter” T-shirt to a Potterhead? Why it becomes their favorite one and sets it apart from other clothing? Clearly, the owner would know! T-shirts could be one of the easily likable items to gift, and to receive one, is true happiness. This bag is the ultimate solution in storing your money from Gringotts, your wand from Ollivander’s, your store for quality quidditch supplies. All while making yourself look good. 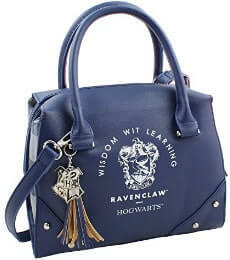 This surely is a great gift for her, if she is into the magical world. 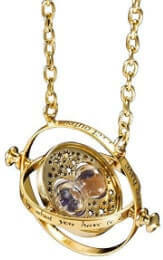 Well, that song where we wished we could turn back time, now it may be possible with Hermione’s Time-turner Necklace. Use your own magic and turn time to whenever you want! This necklace will undeniably make a pretty Harry Potter gift for her. Winter is coming and you definitely need a scarf to survive in the muggle world. 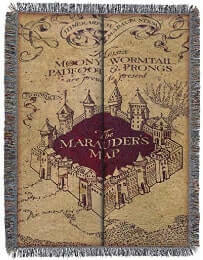 Choose your house from the 4 houses without the help of the sorting hat and select your scarf right away! 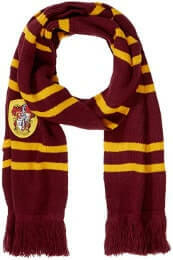 You definitely will know that this scarf can be a genuine Harry Potter gift for kids and adults. Well gifting Dobby’s socks can be Chamber of secrets scene all over again, but hey everyone loves nostalgia especially when it is about their favorite elf from the books and movies. 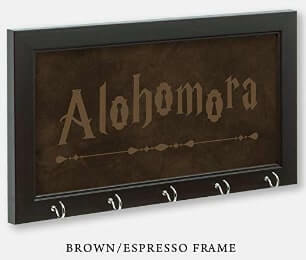 Fans have to agree that this is reasonably one of the great Harry Potter gift ideas. Bookmarks are an emotion to the readers. And when they are shaped like Horcruxes made by You-know-who, it sure gives you the chills. You don’t have to hunt the Horcruxes when you can order them from your phone! 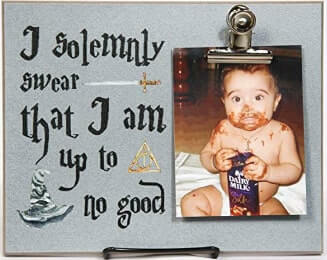 You will certainly think of this when they say gifts for Harry Potter fans. 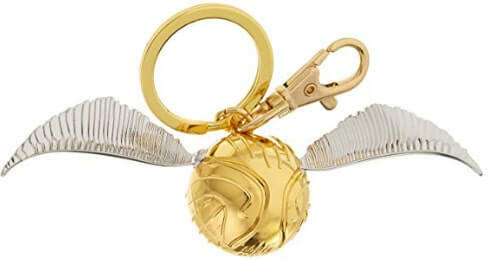 Well, you know that you are a seeker, but how will you prove your fellow Potterheads if you have not caught the golden snitch yet? Well, you don’t have to ride the Nimbus 2000 to catch it if you would just buy it from here. Confused for a Christmas present for your husband, boyfriend, brother or father? 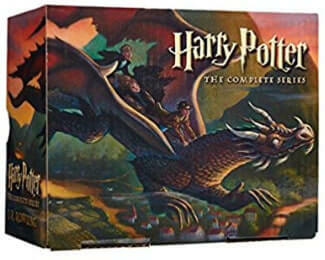 This can be an exceptional Harry Potter Christmas gift for them. Carrying cash and cards in their favorite character’s merchandise sounds really cool! 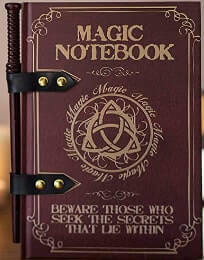 This is a great gift for your man if he is really into magic, wizards, and witches. It becomes clear when you know your magic words to open and close the Marauder’s Map, clearer when you have them written on your coffee mug. 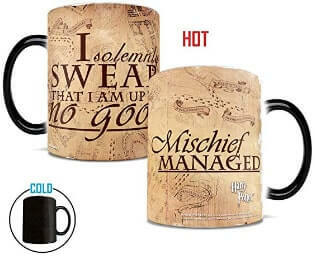 Coffee mugs do come under this list of DIY Harry Potter gifts. What a great day to start while sipping coffee with your favorite mug! Phone cases are arguably the best way to recognize a Potterhead in public. 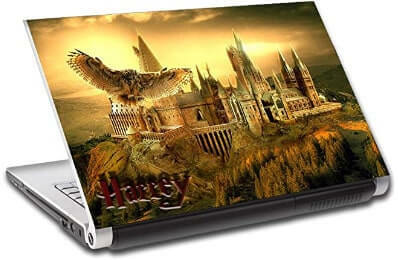 With these cases, your one step closer to your favorite world and who knows also to the person who you have gifted it. Who said muggles cannot cast spells? 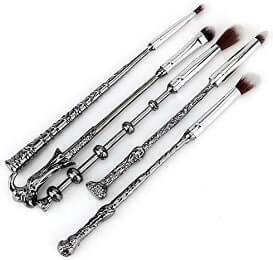 With these wands, you can certainly enhance your beauty without any magic words. Well, we sure did save the trouble for you in traveling all the way to Ollivander’s. Positive words in the morning would lead to a positive day. And how many positive and inspirational quotes, we have come across from our most loved characters? 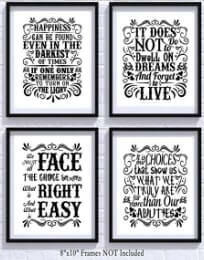 Why not frame and gift them and get encouraged? Doesn’t it feel relieving when you finally close your laptop after finishing your day long work? Well, after your mate closes the laptop, and notices the laptop skin, they may be more relieved and less stressed. 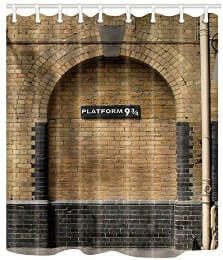 The entry to the wizarding world is the platform Nine and Three Quarters. Sure you can’t find it in the King’s cross, but that should not stop you from making your own house, the entry to your wizarding world. This doormat is the solution! This word unquestionably has so much deeper meaning to us. Sticking this on the wall, would not only make the wall look creative but also would make us remember the person that gifted it. 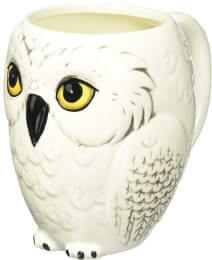 Hedwig, the courageous owl like its master, now can be in your possession. It will obviously not deliver your letters, but it would make a great companion to drink some coffee with you. Remember the scene where Umbridge shows off the Horcrux locket to everyone? Why don’t you try this on and show it off to your friends? 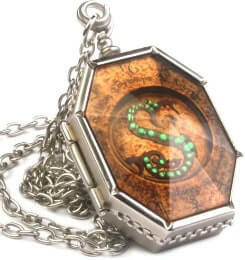 This locket is the absolute replica shown in the movie and looks definitely real! 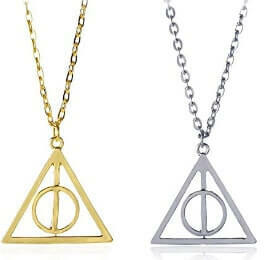 This necklace is the way to recognize other seekers of the deathly hallows. Wearing this Xenophilius Lovegood’s Necklace may even lead you to find your seeker! 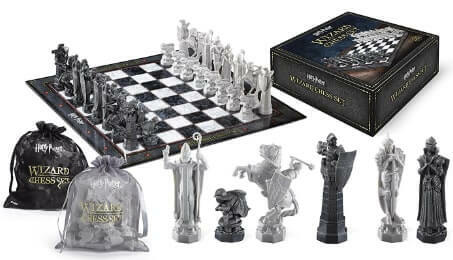 Well, we have sure wished we could play chess king size as our heroes did in the book of Philosopher’s Stone, but at least we can play chess with this set which would clearly be cooler than our regular chess board. Finding a useful gift that can be used in our everyday life could be troublesome. 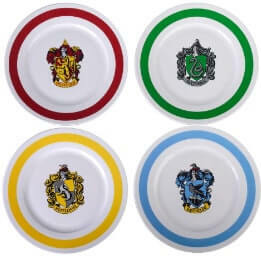 But with these ceramic plates, your loved one can cherish their dinner time with family and friends as if they are dining in the Great Hall! A person is not ready until you have dressed in their best attire. Well, it may not make her Hermione or Ginny, gifting these boots would surely make her the magical person you would have wanted. 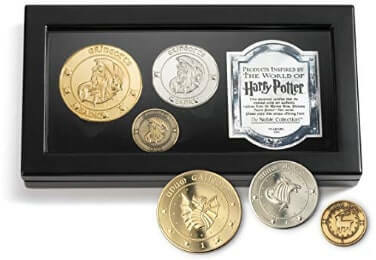 How would you buy your wand and pay up your bills at The Leaky Cauldron or at the Three Broomsticks, when you don’t have your coins from Gringotts? Well, they could assuredly add these coins to their Numismatic collection. These curtains would make sure that you get the feel of King’s cross right at the comfort of your home. Gift them a passage to a whole new world this Christmas and let them be amazed. Maybe it isn’t the age of pocket watched anymore, but it is always the age of Harry Potter. 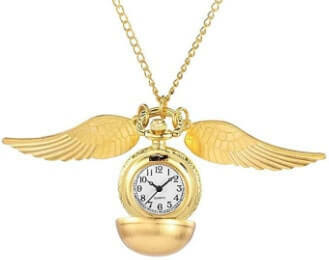 The pocket watch is designed like the golden snitch which would tell us time and hence make us time seekers. The frame precisely is funny if you attached the picture of your cherished ones along with the quote on the frame. It could be an excellent gift to hold and value your memories together. This popular spell has opened thousands of lock over the centuries, how fashionable is to have a key holder name after it. It makes sense though, both the spells and our keys open the locks. We all wanted a magic spellbook where we could write our spells and practice it with our wand. Well, this notebook is the answer. 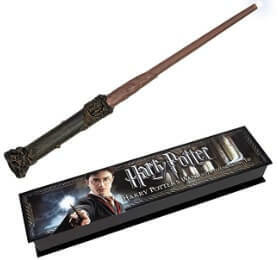 Not only it comes with a wand pencil which we will never sharp but also with some beginner’s spell checklist! As they say that the wand chooses its master but in the muggle world, we just get to choose our own wand! Well, make sure you practice your spells right and get a good hang of your wand. 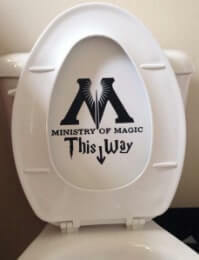 The Ministry of magic sure has many weird entrance ways. The toilet entrance was absolutely hilarious. The sticker gives the feel of the ministry entrance but it would be best you don’t try entering for real! Obviously, the best one is for the last! If your nephew, niece or any of your loved one just started to live in J.K Rowling’s world. It’s nothing better than owning a set of these books and living the moments of the story over and over again! 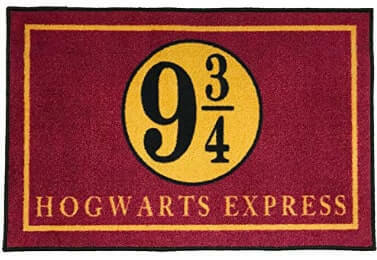 That was our list of the best and unique Harry Potter gifts to anyone who is obsessed with Hogwarts and its magic. 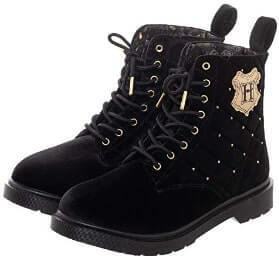 Now be it Christmas or birthday, these gifts would definitely make you feel like a wizard or witch that you have adored. 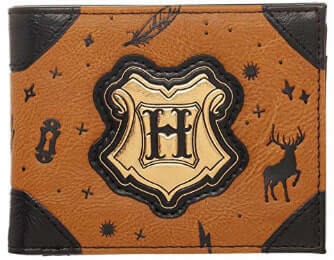 So gather your muggle money and start shopping for your magical gift!